This is one of our orphan centers goals! Providing for the daily needs of our orphans, in itself, is a significant challenge. But we also receive regular special needs requests. 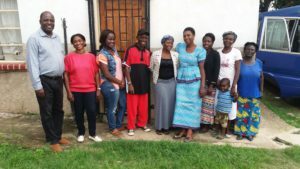 Recently I got a letter from Bishop Mumba who, among others, oversees the Zambia Center, asking that we consider bringing on board an additional staff member. He wrote: “With around 90 – 120 children per class in the Public School system, we find that many of our children are struggling to keep up with the curriculum. Therefore, we need to step up our extra-curricular help for the children at the Center. My daughter, Melisa just graduated with her Bachelors degree, and is available right now to come help especially with the older children who mostly struggle with Math and Science… She already is helping our students successfully. Will it be possible for us to find a sponsor to help her with a small stipend for now?” My heart goes out to Henry and our children! Melisa is willing to serve and work for around $120 per month. We believe that providing our orphans access to education, health services, and in programs like ours, spiritual guidance; together with the patient nurturing of self-worth and self-expectations, we are providing them with critical tools to escape poverty by themselves. Without the selfless giving and service of our Volunteer staff at our Orphan Centers we would not be able to serve the needs of our many precious children. And so we’d like to introduce some of them here, so you also may know to keep them in your prayers. 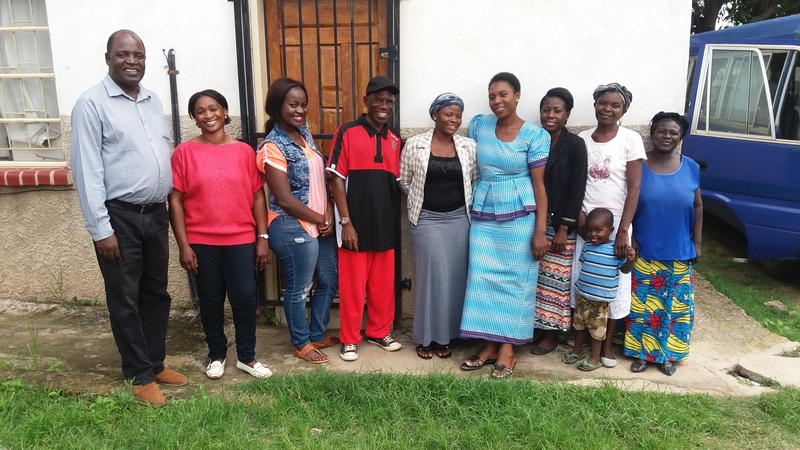 Bishop Henry Mumba, with his team of volunteers at the Mansa Orphan Center in Zambia: Forster, Melissa, Rex, Scholar, Deliah, Nelly, Agness, Josephine and her son Elijah. Every one of our staff members serves sacrificially, receiving only a small insignificant monthly honorarium. Yet every one of them are well-qualified people, who probably would be able to earn a good income elsewhere. So we thank God always for their service and love for our children. 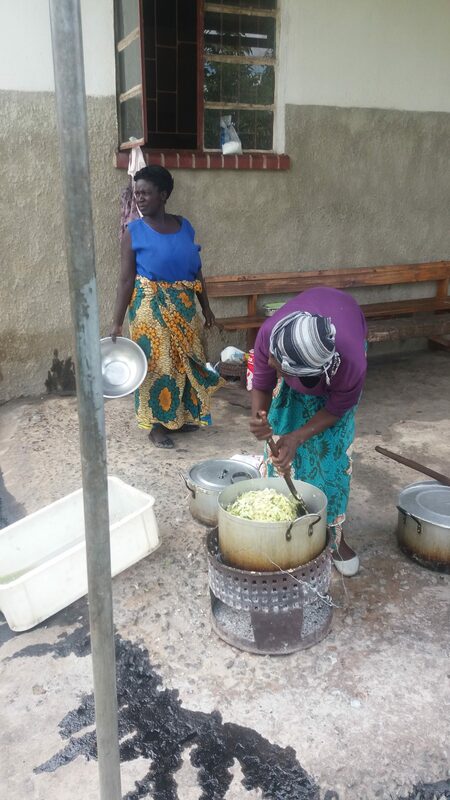 The following photo pictures, Henry with some of the kitchen staff and our two social workers: With headscarf- Scholar Chikwanda, In white Agness Musege, In red Forster Lengwe, In blue blouse – Josephine Mwila and Bishop Henry Mumba. We are very grateful for the contribution and service of each one of our volunteers. But, we would like to do more for them also. Will you consider helping us bless each one of our precious staff members with something extra: either as a one-time special gift, or perhaps to increase their small stipend monthly to a more livable level! Also to contribute towards our children’s on going education fund, kindly designate your special gift as such in the attached response slip. Your contribution WILL make a difference!